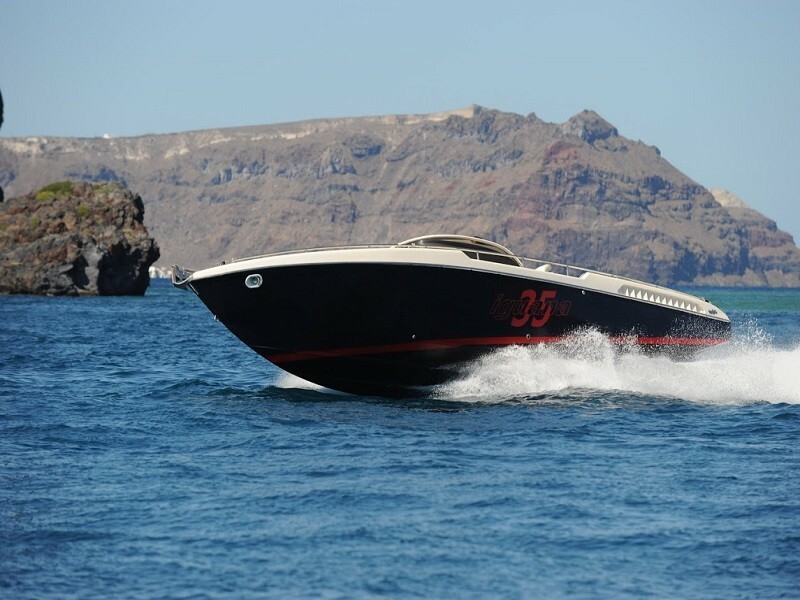 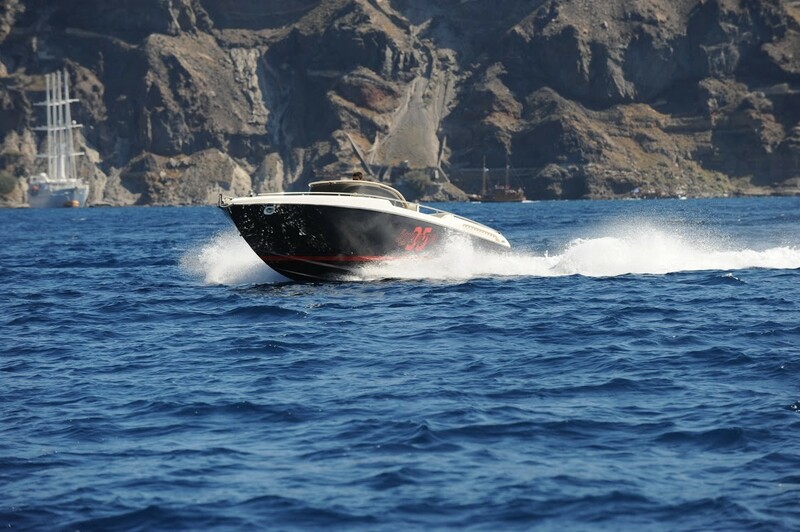 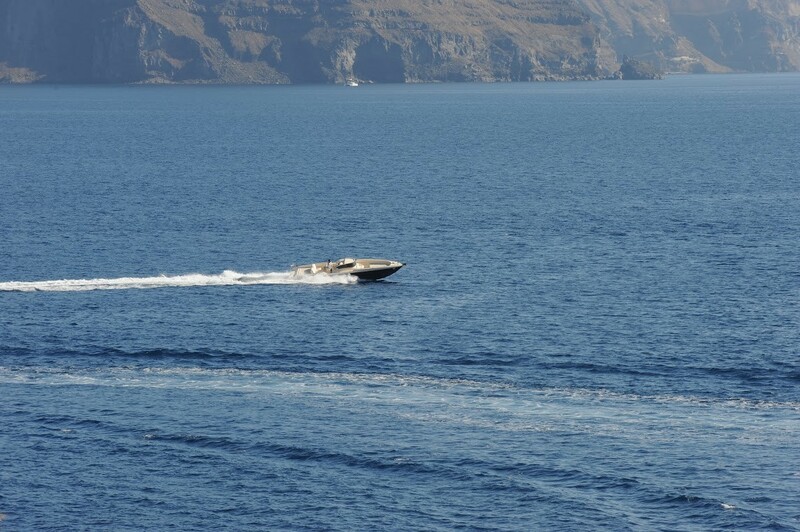 Our speedboat is not another, fast boat in Santorini. 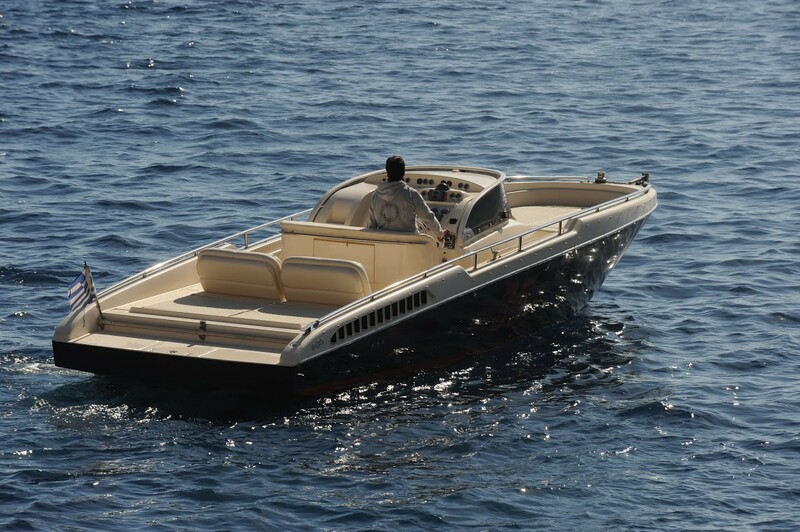 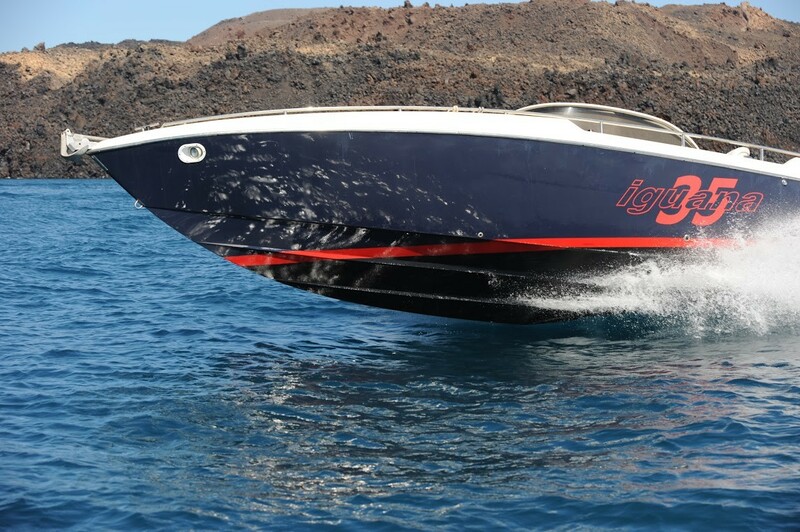 It is a brilliant speedboat with clever characteristics and a very powerful diesel engine of 370 hp. 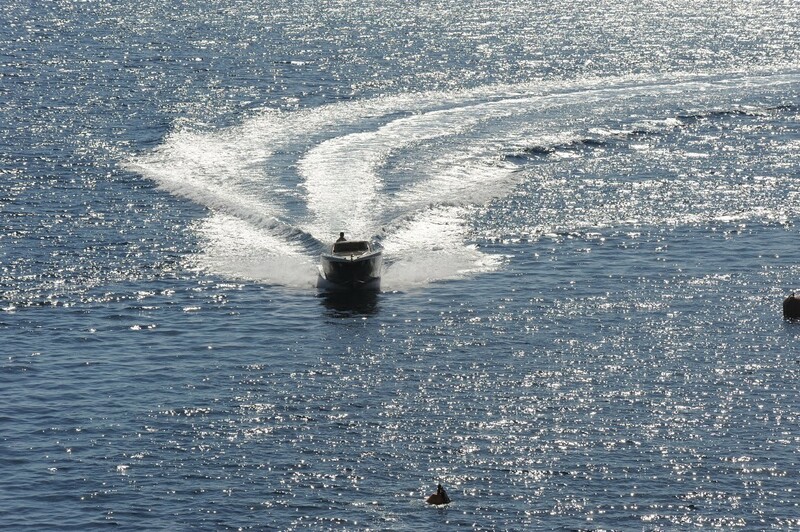 That gives to this brand new boat a remarkable speed of many knots. 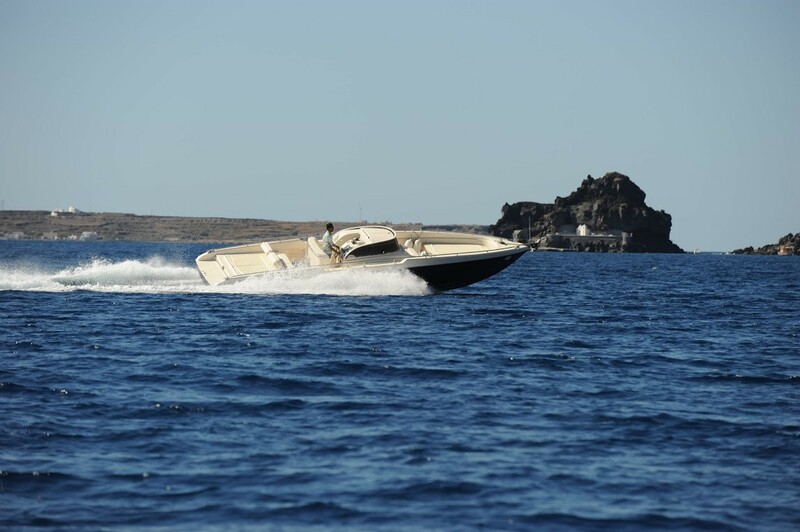 It is a custom boat that was built from the beginning with one aim, to be a very fast boat with great comfort and specially designed, for sea excursions, spaces. 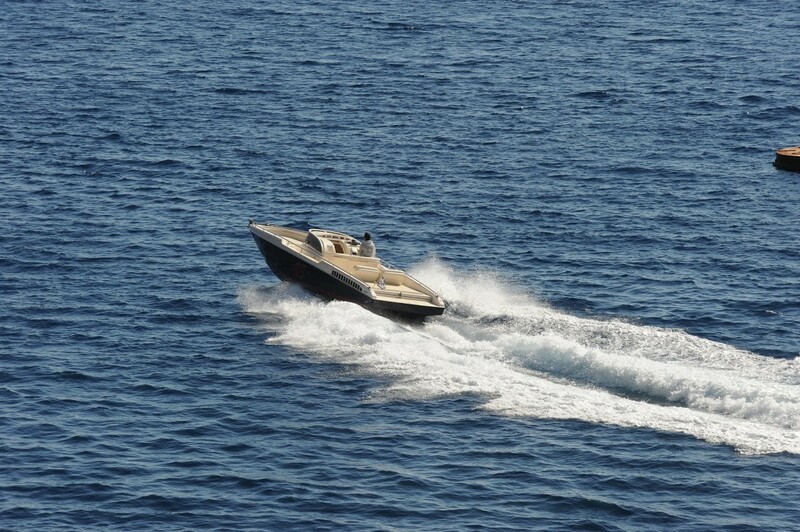 The speedboat overall length is 35 feet and the beam is 10 feet. 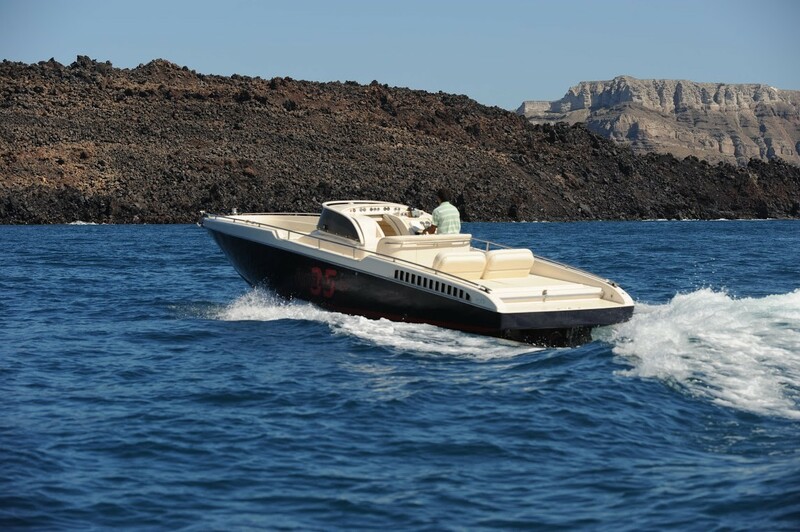 At the front, there is a big space with comfortable mattresses for relaxation and sunbathing. 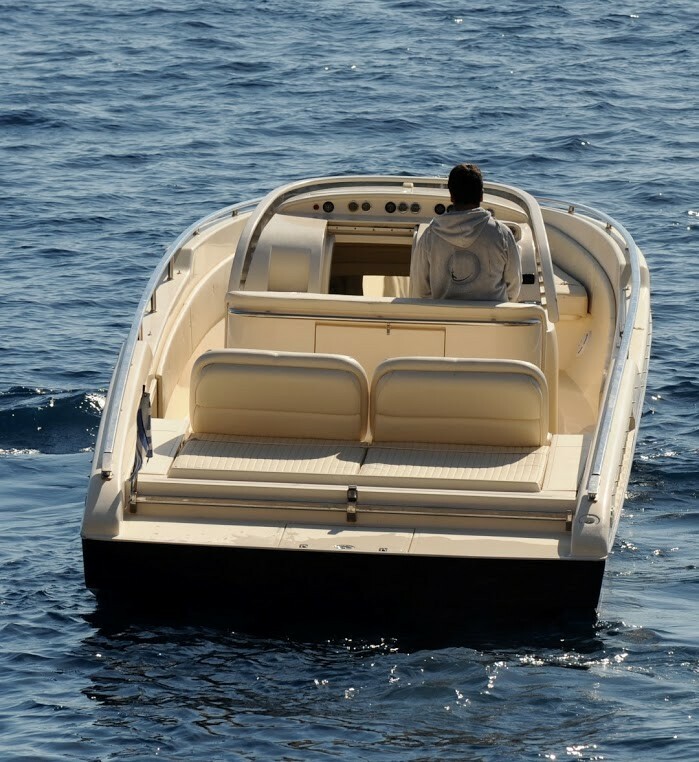 Behind the driving position, there is a wide space with big sofas and a very innovative canopy which is specially designed to protect you even if the boat goes very fast. 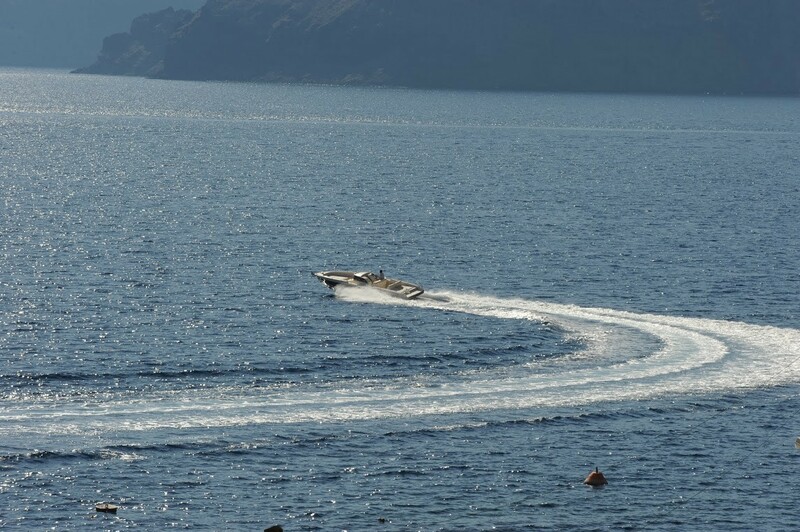 At the back of the boat, there is an extended swim platform with a ladder that will give you the opportunity to enjoy more the beautiful sea of Santorini. 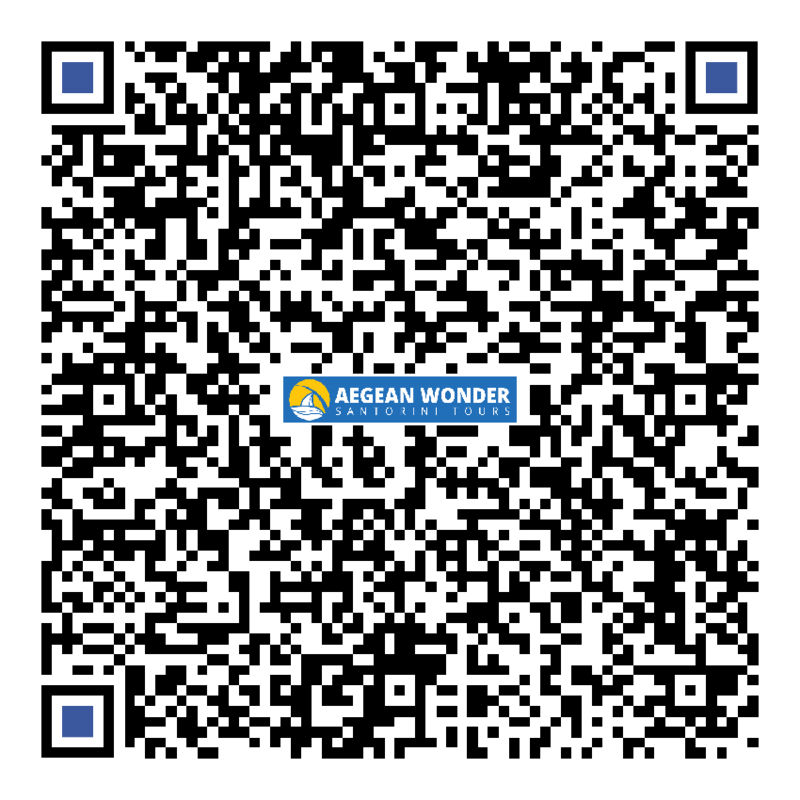 Our captain will supply you with all the necessary snorkelling equipment. 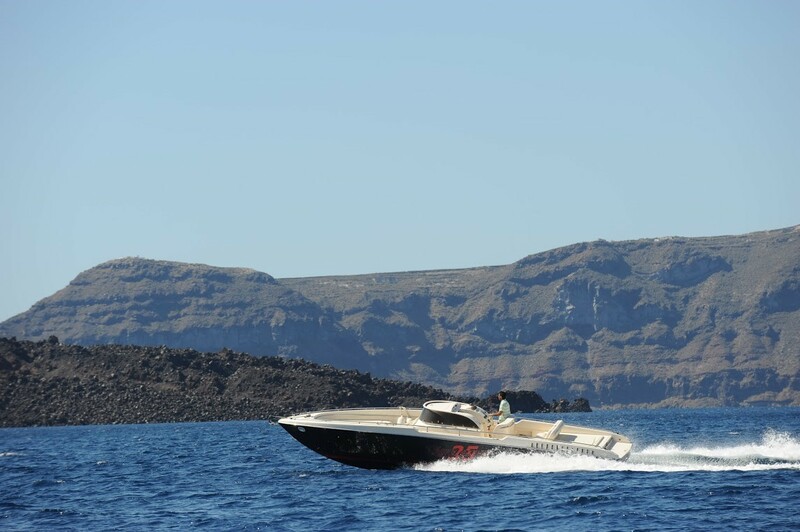 Get ready to meet all the famous and some of the secret places in Santorini through the warm hospitality of our skipper. 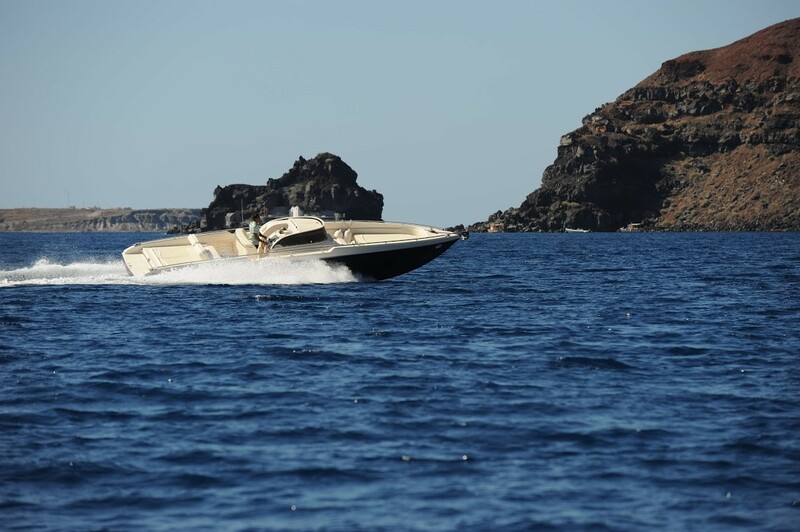 Great traditional snacks and a lot of wine will be served during the trip from our captain in order to maximize your satisfaction. 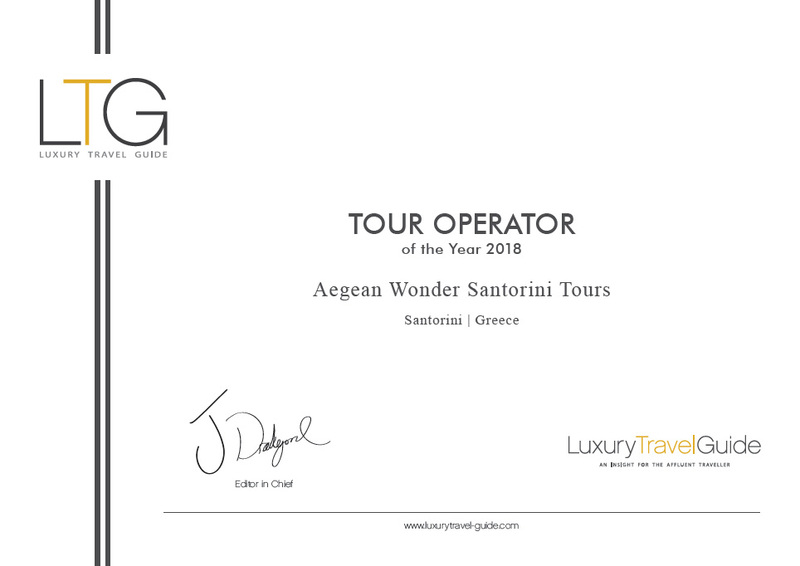 Please contact us in order to send you the details of our trip and to discover that you can have a perfect private tour in the finest price.